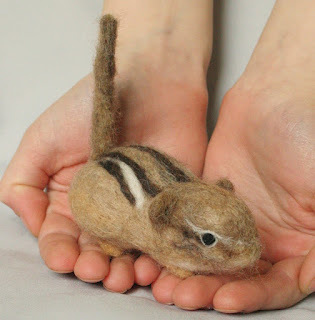 I made another chipmunk for the markets; it's good to have a few of my most popular items on hand. The funny thing is that though I am not meaning to, I keep making tiny ones, baby sized. Or at least they are the size of young ones. I will have to try again and see if I can get an adult! Thank you! I love chipmunks!